HPConsulting Services Limited are agents for Space Electronics. 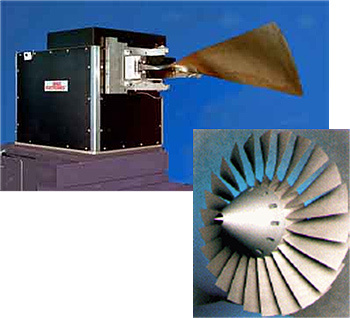 Space Electronics is the world's number one manufacturer of aerospace mass properties measurement instruments. Over the last 50 years, they have sold more moment of inertia and centre of gravity instruments than any other company. One reason for their success is their unique technology. They invented the force restoration concept of CG measurement and the inverted torsion pendulum method of measuring MOI. They are the originator of the spherical gas bearing spin balance machine which uses two force transducers to determine both product of inertia and CG offset in a single run. Another reason is the extraordinary reliability of their products: some of their instruments have been used daily for more than 20 years without malfunctioning. Their instruments are the most accurate in the world. Because of their unique technology, they have a moment accuracy of 1 part in 300,000. Most mass properties measuring instruments manufactured by other companies use load cell technology, which is only capable of an accuracy of 1 part in 2000. Their extraordinary accuracy allows them to manufacture a single instrument which can accurately measure objects whose weight ranges from 100% to less than 3% of full scale. Other manufacturers must supply several different size instruments to accomplish the same goal. Please follow the following link to learn more about their products: www.space-electronics.com.